Don’t worry, be happy! This simple, positive outlook phrase guided me during my recipe search for this week’s theme of “Happy Food” for the I Heart Cooking Clubs group, in which we’ve been cooking with Jamie Oliver. I already had some corn-fed, Iowa beef thawed out from the freezer that we were going to just grill burgers with. Instead I began wondering if there might be a recipe on Jamie’s web-site for ground beef . . . there was ONE, lone recipe: Sloppy Joe’s! What fun! And so easy for a Sunday afternoon. My husband even set the table on the back deck since the weather is so nice today. I cannot remember the last time we had Sloppy Joe’s; it’s been that long. Although they are not the healthiest sandwiches on the planet, they certainly are fun! Even my husband said while biting into one, “I always thought Sloppy Joe’s were so much fun! In fact, I think I’m going to have another one.” Along with the traditional side dishes of baked beans and potato salad, we really had a fun and enjoyable ‘alfesco’ lunch. Our acreage is in the middle of 24 acres of woods and pastures. Only in the winter when the trees are bare, can you see the corner of a house about 4 acres away. I just read a piece of foodie trivia in Saveur’s Sandwich Issue: Sloppy Joe’s were named after a ‘sloppy’ chef in a Sioux City, Iowa restaurant. How appropriate that this recipe popped up on Jamie’s site just in time to use up some of our Iowa beef! Talk about serendipity! Whenever my husband and I return to Iowa for a visit or whenever my parents come to visit us, a variety of Iowa-raised, corn-fed meats are frozen and packed on ice in a cooler to partially fill up our South Carolina freezer. This state (SC) may have some super, awesome, juicy peaches, but it sure doesn’t produce the flavorful beef that my husband and I were raised on in the Midwest. Put a large sauté pan over a medium heat and crumble in the beef or turkey. Fry until the meat starts to brown then add the bell pepper and onion. Continue cooking, stirring occasionally, until the veggies start to soften – this should take around 5 to 10 minutes. When the veggies are tender, add the tomato purée and stir into the meat. Add the vinegar, brown sugar, honey, mustard and chile powder to the pan and give everything a really good stir. Add the beans, and season with salt and pepper. Bring to a boil and cook until the sauce is nice and thick. Pile the Sloppy Joe mixture onto the bottom of a bun; top with the other half of the bun; close up the sandwich and dig in! I never had this with beans what a great idea! As I would love this on a hotdog too! 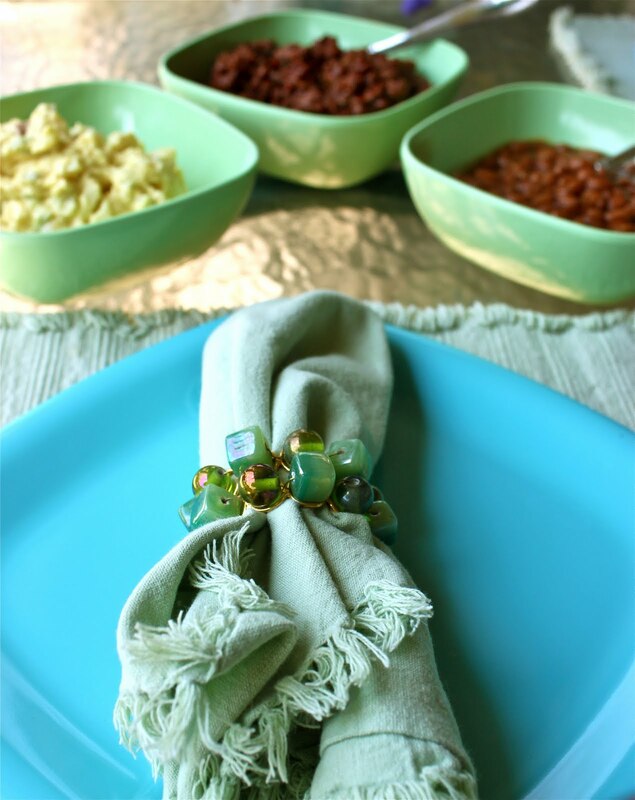 WOW what a great idea this is…..we will be trying this next time I have a crowd! thanks for posting… sounds delicious but your picture paints a thousand words! I am envious of your lovely deck! 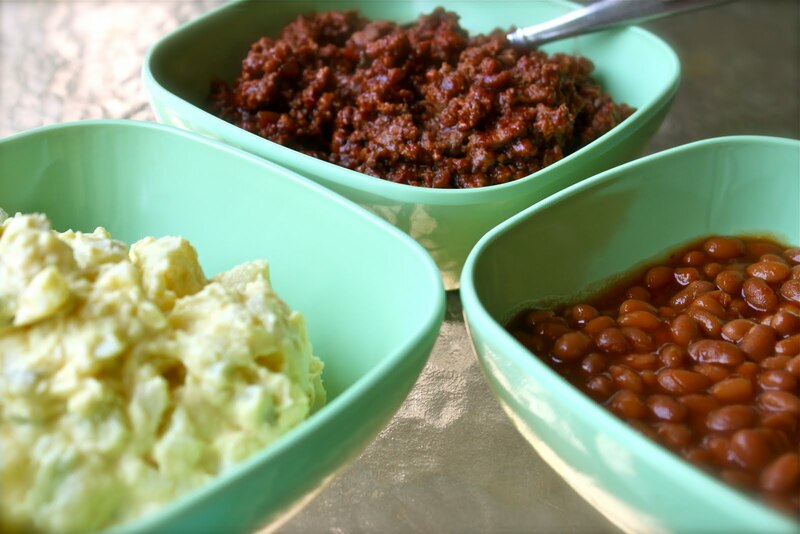 I’ve never had beans in sloppy joes either, but it’s definitely an inexpensive way to stretch a dish. Sloppy Joes and lunch on the deck. It doesn’t get any better than that. I really like the idea of beans in it. 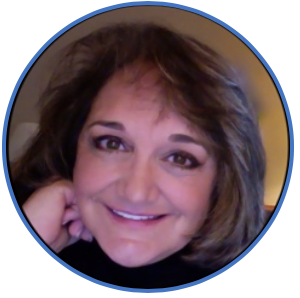 Oh my goodness…just spending a whole beautiful day on your gorgeous deck would make me an extremely happy woman…add those sloppy joes and I’d be in heaven! What a GORGEOUS photo! Seriously, this is magazine cover perfection. 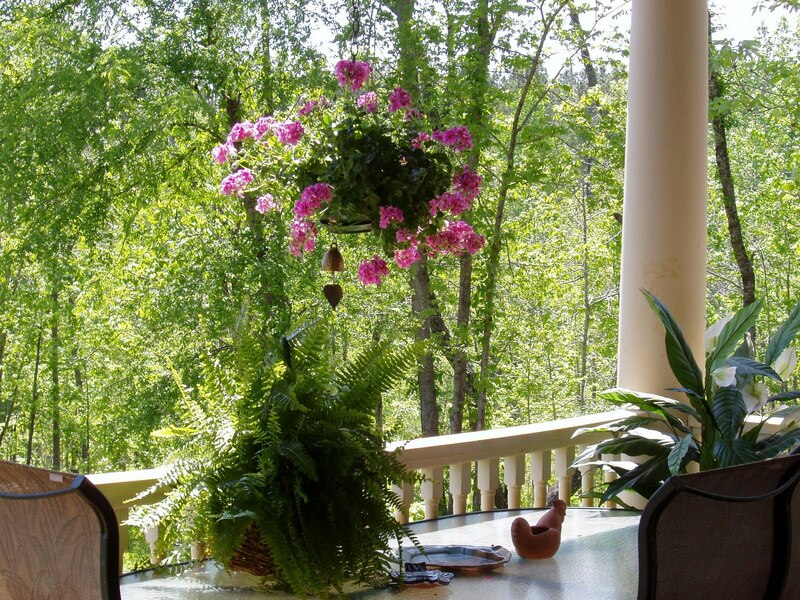 As for your al fresco deck… you are so blessed to have such privacy and beauty around you…and a horse, to boot! My men loves sloppy joes, and I’m not so sure they’re completely unhealthy. Homemade sloppy joes are so much better than that canned stuff! The potato salad got me drooling, too…ah, signs of summer BBQ memories are resurfacing. I can’t wait! I have a real soft spot for Sloppy Joes as they remind me of the 80’s. A good sloppy joe makes me truly happy. Looks delicious! DSO would be over the moon if I ever made Sloppy Joe. I may have to relent since these do look good. Wow, what a deck! So cozy and gorgeous. I adore sloppy joes. Love that sloppy joe. 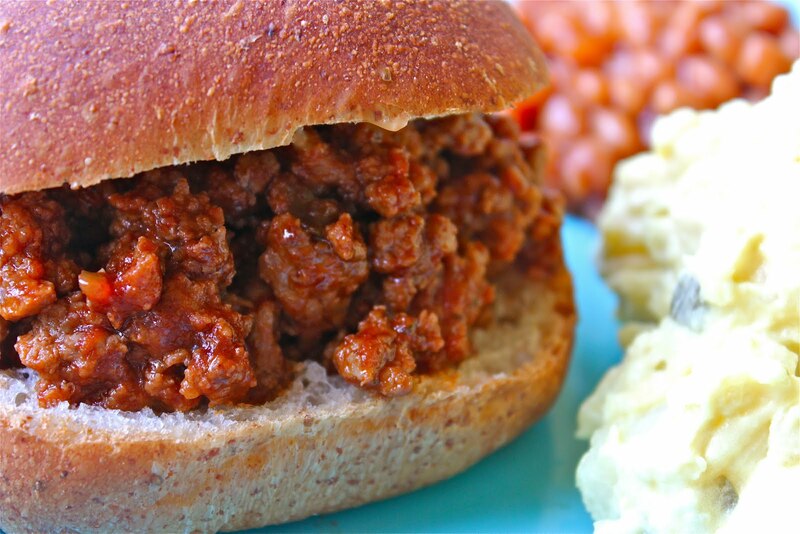 I always laugh when I think of sloppy joes because I am reminded of my southern grandmother who is as prissy and fancy as can be but she loves her sloppy joes and it is funny watching her eat it in dainty little bites! LOL! wow great meal and a beautiful deck 🙂 thanks for traveling with me and can you believe kiwis were expensive there ! The dish sounds great….thanks for stopping by my space ! That look so good, I never even tasted Sloppy Joe before, now I am tempted. The recipe sounds very good and your photo makes me want one right now. Jamie really only has ONE beef recipe? He is one crazy man. 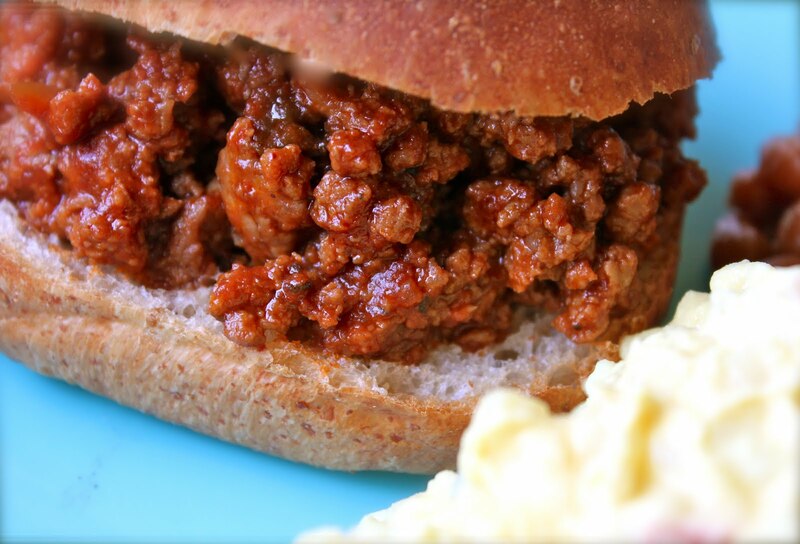 Sloppy joes remind me eating completely messy versions as a kid…those are the best kind of meals don’t you think? Delicious! Wow, I love your deck! It is so beautiful. Those sloppy joes look terrific and soooo scrumptious. Yummy! Did you know Jamie Oliver is back for the 2nd of his series The Food Revolution. I hope I can squeeze in time to watch! Lucky you to have such delicious privacy. Would love to munch into that sloppy Joe. For some reason I thought Sloppy Joes was an American thing! I was surprised that this was a JAmie Oliver recipe. It’s been about 7 years since I last had a sloppy joe! I must make this some day! It’s been too long. This dish sounds very interesting and also I love every single recipes of Jamie!